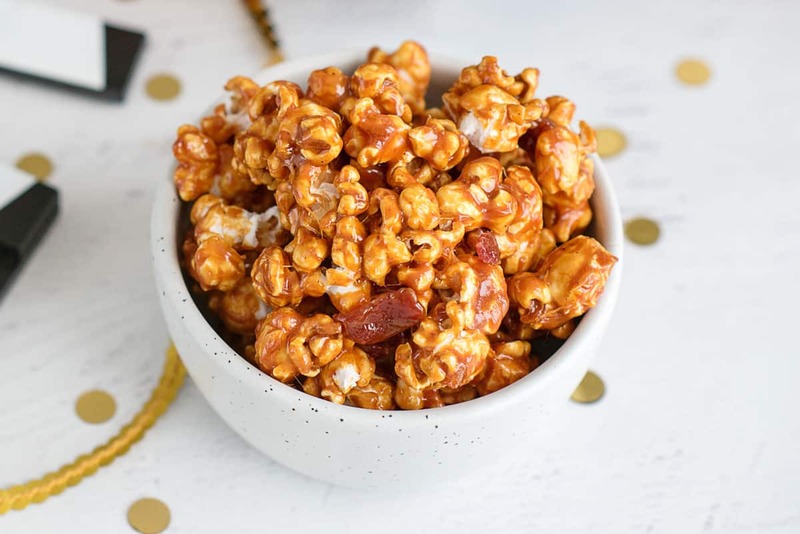 Bacon makes everything better – including this recipe for spicy caramel bacon popcorn. 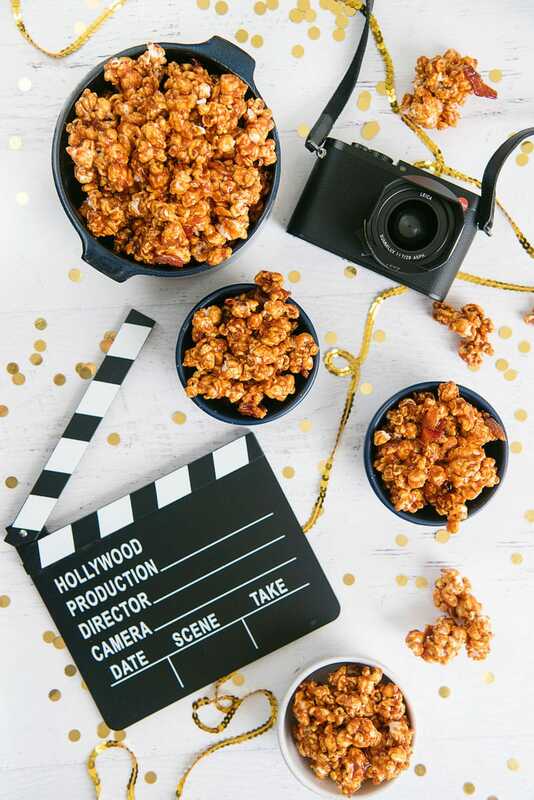 It’s the perfect movie night snack! 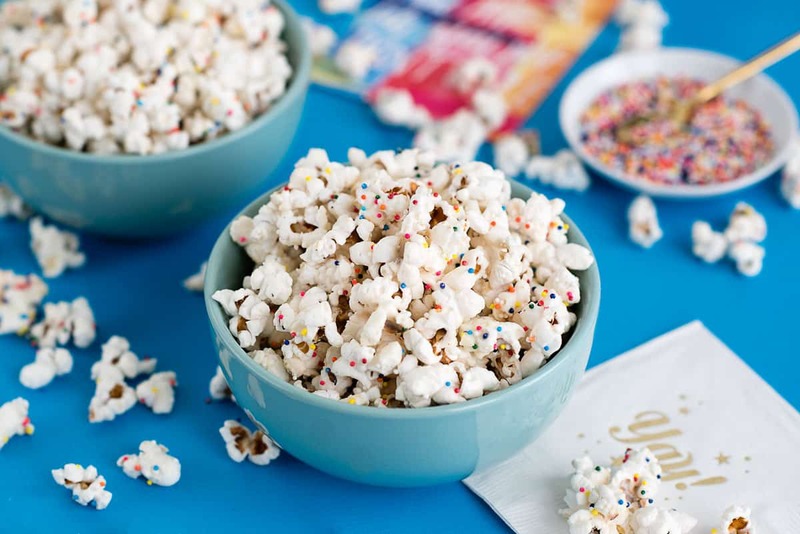 If you’ve been reading long, it’s no secret I’m a popcorn recipe fanatic. 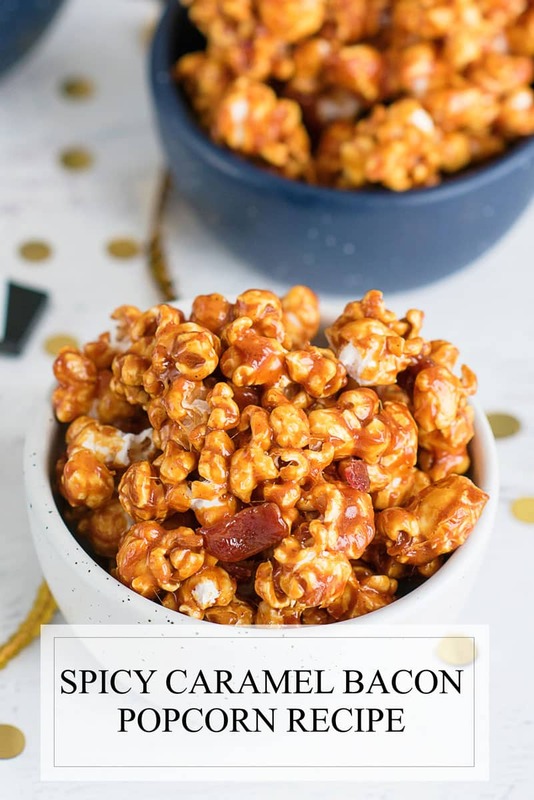 From healthy snack to decadent treat, I love how versatile it is. 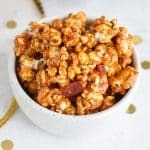 I first made this Spicy Caramel Bacon Popcorn Recipe for a backyard movie night. My first thought was that it sounded too good to be true. Sweet, salty, bacon, caramel? 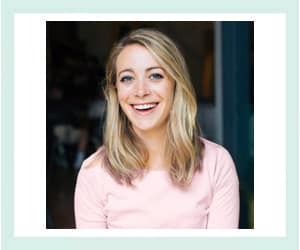 All in one recipe? Could it be too much of a good thing? I assure you it is not. 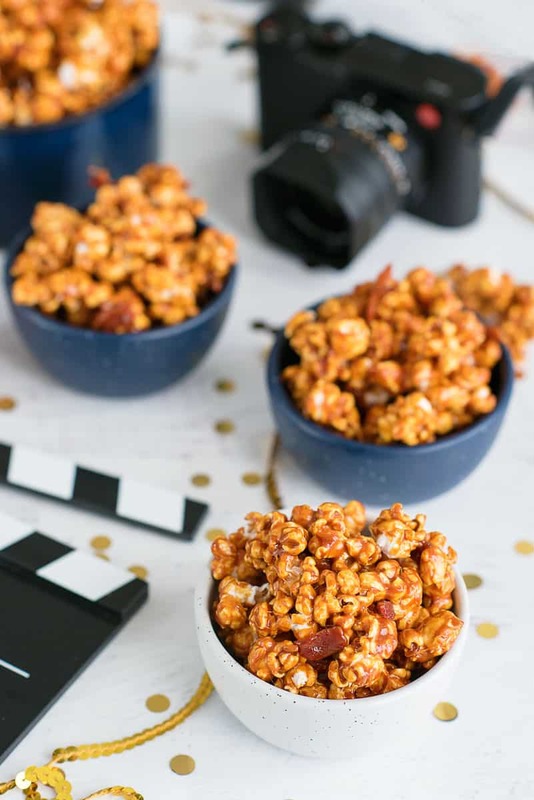 It’s just the right amount of heavenly deliciousness, and perfect for your next movie night! 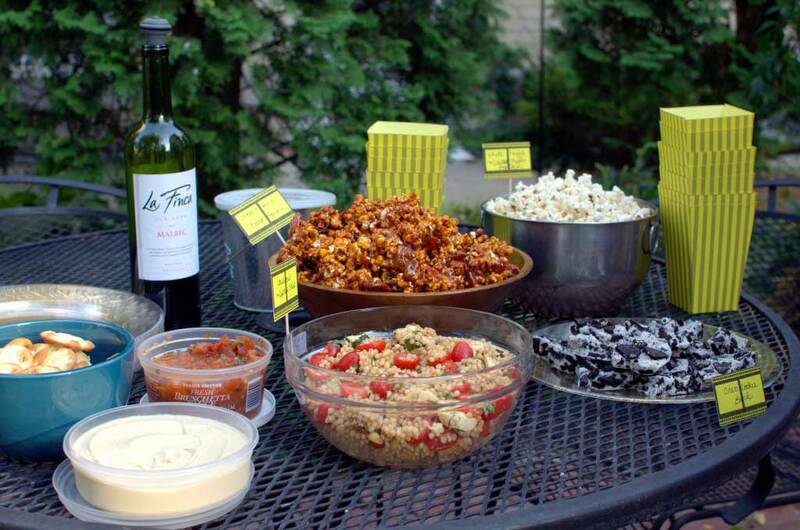 Even better, a backyard movie night! That’s actually one of my goals this summer, is to figure out a way to set up for movies on our porch or backyard. Either that or attend one of the many outdoor movie screenings held in the parks here in San Francisco. 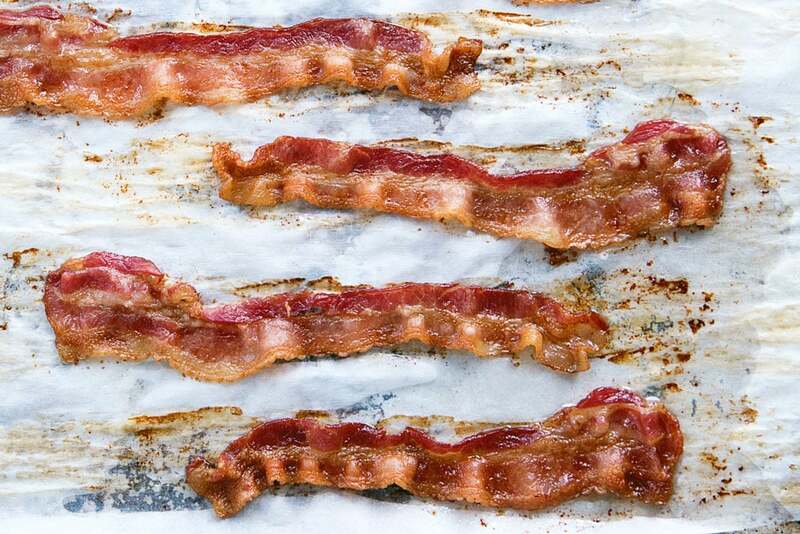 Oh, and can we talk about making bacon in the oven? What a genius idea! 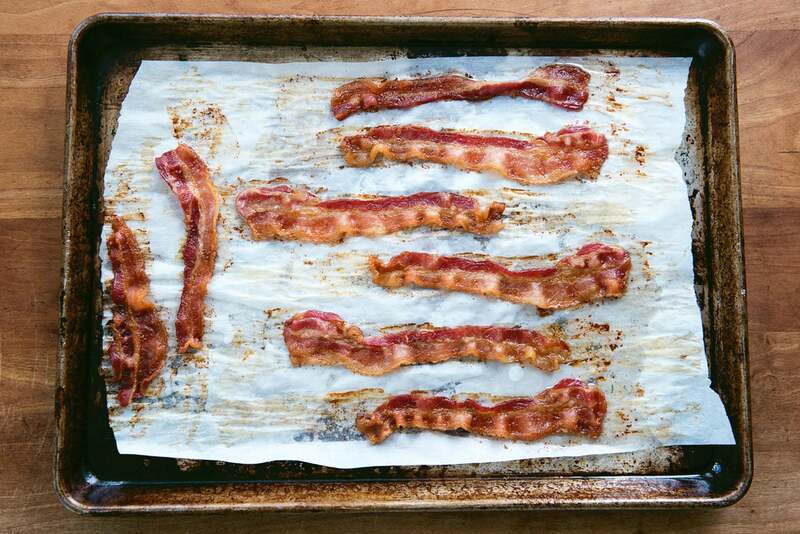 No grease splatters all over my stove top and perfectly flat, gorgeous bacon every time. It’s so so easy and only takes 15 minutes. Prepare a large mixing bowl (I used my Kitchenaid bowl) by spraying generously with cooking spray. Also, coat two spatulas with cooking spray. Dump the popcorn in the bowl. 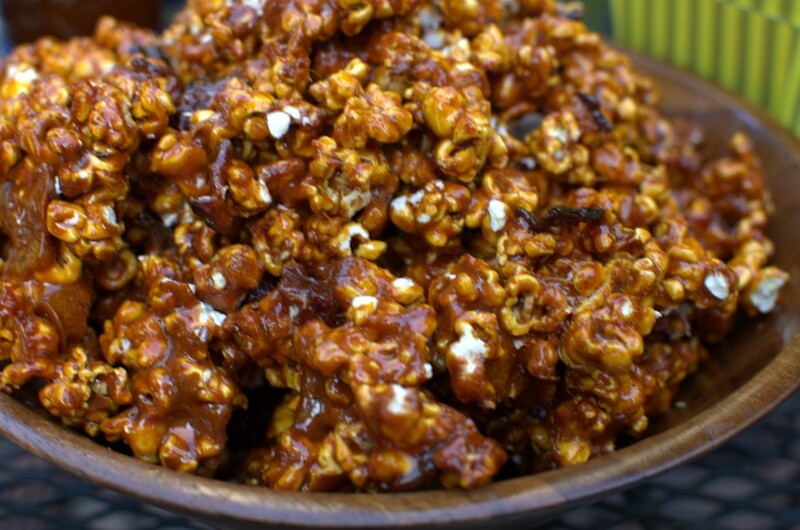 Pour the caramel mixture over the popcorn and toss until coated evenly. Pour the popcorn onto a large baking pan and flatten and break into small pieces. Cool to room temp and serve, or store in an airtight container. The popcorn will keep up to four days in the fridge.